Markets react after the government said that employers added 138,000 jobs last month, which was short of economists' expectations and a slowdown from April. NEW YORK – Bond yields sank Friday to their lowest level of the year, and the dollar’s value fell against rivals after the nation’s job growth slowed last month. But stock indexes chugged again to record heights, led by technology companies and dividend payers. Yields fell immediately after the government said that employers added 138,000 jobs last month, which was short of economists’ expectations and a slowdown from April’s hiring. The yield on the 10-year Treasury dropped to 2.15 percent from 2.21 percent late Thursday and hit its lowest level since mid-November. The government’s jobs report also said that hiring was weaker in March and April than earlier reported. The unemployment rate fell to 4.3 percent last month, its lowest level since 2001. Stocks opened for trading an hour after the release of the jobs report, and they were higher for nearly the entire day. The Standard & Poor’s 500 index rose 9.01 points, or 0.4 percent, to 2,439.07. 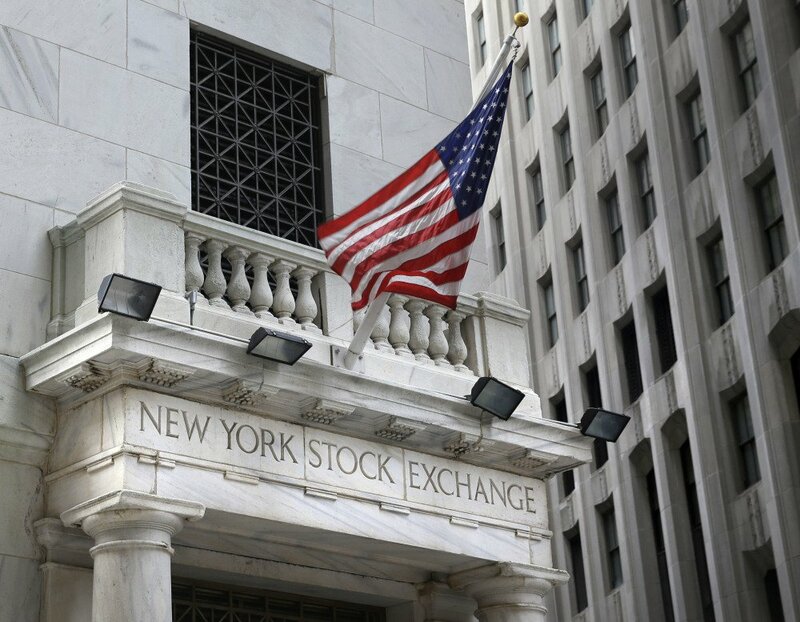 The Dow Jones industrial average gained 62.11, or 0.3 percent, to 21,206.29, and the Nasdaq composite added 58.97, or 0.9 percent, to 6,305.80. All three indexes added to records set on Thursday. Many economists say they don’t expect the latest jobs report to dissuade the Federal Reserve from raising interest rates again at its next policy meeting in two weeks. The job market and inflation remain strong enough, they say. The central bank has been trying to pull rates gradually off their record low following the Great Recession, and it has raised rates twice since December. Friday’s jobs report slots in with a series of mixed economic reports that show continued modest gains, but no big acceleration. The economy grew at an annual rate of 1.2 percent in the first three months of the year, for example. That’s a relatively weak showing but better than first estimated. Weiss said he’s been cautious on U.S. stocks given the continued tepid pace of growth, particularly as indexes have climbed to record after record this year. “If you were a Martian and looked at the economic stats, you would not be pouring money into the equity market, or at least the U.S. equity market,” he said. Friday’s drop in interest rates helped boost stocks in industries that pay big dividends. Real-estate investment trusts rose twice as fast as the overall S&P 500, for example. Dividends look more attractive to income investors when bonds are paying less in interest. Technology stocks had the day’s biggest gains, with those in the S&P 500 jumping 1 percent. It’s the latest move higher for the streaking sector, which is already up 21.3 percent for the year. That’s by far the biggest gain among the 11 sectors that make up the S&P 500. Chipmaker Broadcom jumped to the biggest gain in the S&P 500 after reporting stronger quarterly revenue and profit than analysts had forecast. It rose $19.94, or 8.5 percent, to $254.53. Lululemon gained $5.62, or 11.5 percent, to $54.29 after the athletic apparel company reported better results for the latest quarter than analysts expected. On the opposite end were energy stocks, which deepened their losses for 2017 after the price of oil sank. Benchmark U.S. crude oil fell 70 cents, or 1.4 percent, to settle at $47.66 per barrel. Brent crude, used to price international oils, sank 68 cents to $49.95 per barrel. Energy stocks in the S&P 500 lost 1.2 percent Friday, and they’re down 14 percent for the year when the overall index is up 8.9 percent. Gold rose $10.10 to $1,280.20 per ounce, silver added 24 cents to $17.53 per ounce and copper lost 1 cent to $2.57 per pound. Natural gas was close to flat at $3.00 per 1,000 cubic feet, wholesale gasoline fell 2 cents to $1.58 per gallon and heating oil dipped 2 cent to $1.48 per gallon. The dollar fell to 110.50 Japanese yen from 111.33 yen late Thursday. The euro rose to $1.1276 from $1.1214, and the British pound rose to $1.2880 from $1.2876. Japan’s Nikkei 225 index rose 1.6 percent to cross above the 20,000 level for the first time since 2015. Hong Kong’s Hang Seng index rose 0.4 percent, and South Korea’s Kospi jumped 1.2 percent. In Europe, Germany’s DAX gained 1.2 percent, and the French CAC 40 rose 0.5 percent. The FTSE 100 in London added 0.1 percent.